Today's Home for the Holidays post is from the lovely and talented Ashley Campbell of Under the Sycamore. She's always got something unique to share so I was thrilled when she sent me this post about a special family tradition that not only marks the passing of time but is a standing record of sorts that I'm sure will be a treasure in years to come. I am a huge fan of family traditions whether they are related to holidays or simple routines. 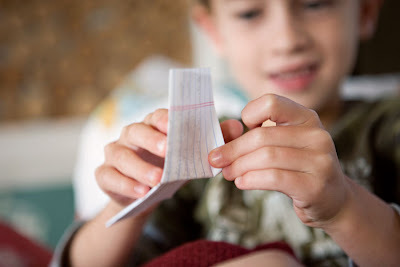 As a mom of 4, I especially love how traditions mark the rapid growth of my children. With small kids the exact same tradition is totally different the next year simply because they have grown. One tradition that we started soon after the birth of our first son is to place 'hope' notes in our stockings when we pack them up for storage. The idea came from a friend and is very simple. 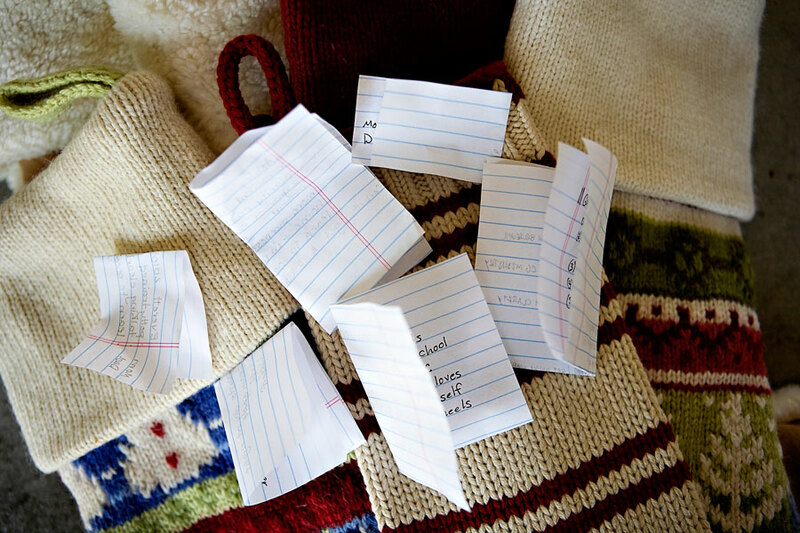 Each year we write a little note to go in each stocking when we pack them up for the next year. The following year when we unpack all the decorations we get to pull out notes tucked inside. Whatever is written on the notes is not recorded anywhere else. 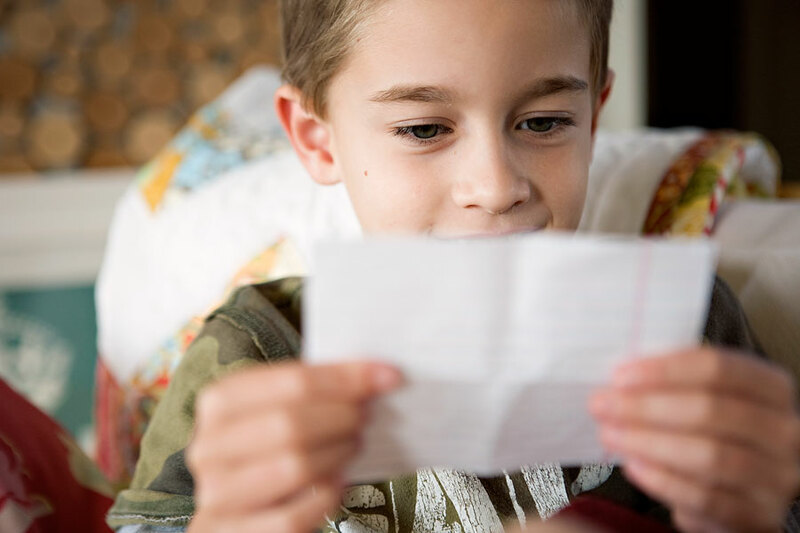 Typically we forget what we write and the anticipation of reading them as a family is so much fun. 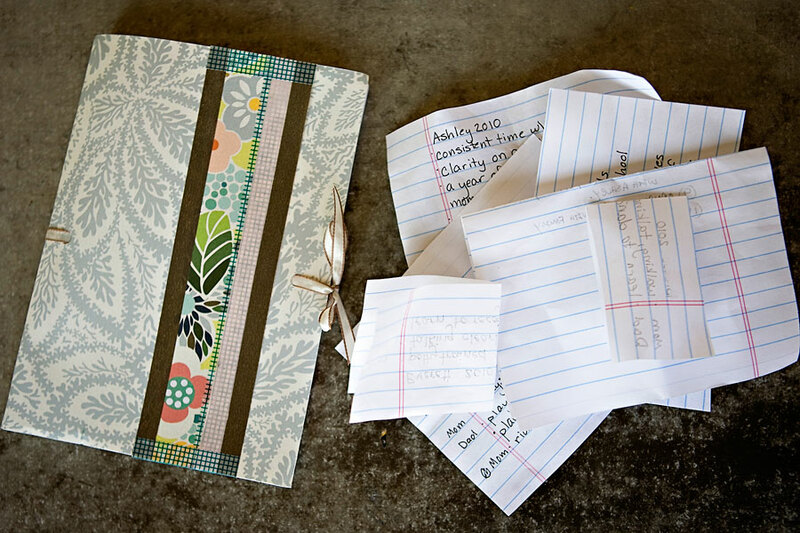 After reading our notes I write them down in a simple handmade journal. The journal sits our in our living room and from time to time we enjoy reading (and laughing) at the things we wrote. "Will be potty trained" has been in at least one of our kid's stocking for several years...soon we will move out of that phase of life and our hopes will be totally different. One day our son will be hoping for a car instead of learning to ride a bike. The tradition is both the same and different every year. Unpacking stockings as a family and sharing together what hopes were realized and which ones were not is one of my very favorite traditions. Our notes have become in a sense a perpetual calendar of our family...a fun little record of the practical stuff in each phase of life. 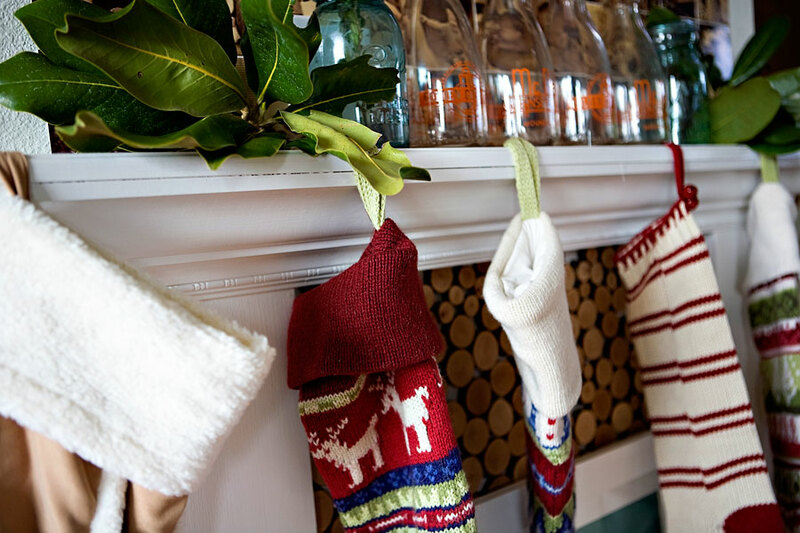 Our stockings are hung again and all too soon new notes will fill them before they are packed away for next year. 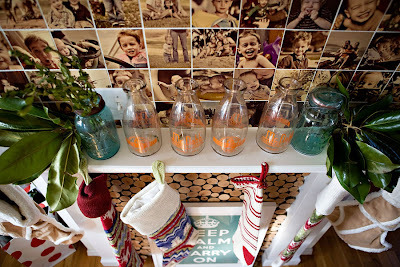 Ashley's blog is one of my favorites to read for her creative DIY's, great photography, and regular good humor. There are days when I'm reminded how to be more intentional as a mother and days when I sigh the collective, "Me, too! ", when reading about a particularly frustrating evening. She's got a beautiful heart, a charming family, and a house that will make you go weak in the knees! See for yourself. Thanks, Ashley! 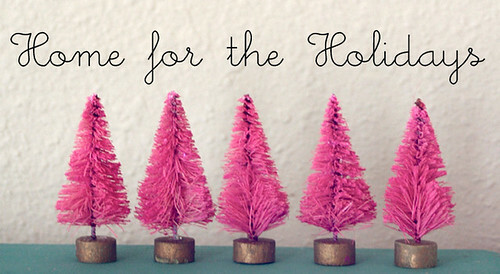 Be sure to check in again Monday for more 'Home for the Holidays' inspiration. love seeing 2 posts in one day from ashley!! :) such a great idea. loving your 'home for the holidays', rachel!! so sweet! i'm lovin' this series:). Ashley - you are so awesome. Love this idea. I LOVE this idea!! Traditions are so special and will be passed on through the generations. Your oldest seems so sweet. Boys SURE love their Mommies!!! Merry Christmas! Totally adopting this this year! Thanks for inspiring newness! Love this idea! I have a six-month old and have been thinking about (and noting) special traditions that I'd like to institute for my family. Thanks for sharing. I adore the note idea! what a great way to see how your family grows year to year. seriously have tears streaming down my face, this idea is so amazingly sweet and I can not wait to add it to our family traditions! Ashely is one of my fav bloggers so it is so fun to see her featured here today - great job ladies, this series is awesome! Hope the moving isn't too stressful right now! I love this idea! I am definitely going to start this tradition with my little ones this year. Thanks for sharing! love, LOVE the idea of leaving the notes in the stockings! great touch! The idea is cute and the comments the kids made are so adorable! so cute! i love that idea! I just posted something about my holiday traditions of growing up on a sailboat. I love looking back at my family's traditions hearing about other peoples! I love this idea! I think we'll have to start this year with our new little one!! That's just how I feel about Ashley's blog. We love you, Ash! This is a very cool idea! It goes along with what I learned about goal making... just the thought process of thinking about what you want most and the action of writing it down makes it's ten times more likely to come to fruition. You can proove this for yourself by writing down the top ten (exact, reasonable) goals you have for yourself and the coming year. Hide the list away and don't look at it again until a year later... it is very likely you will have reached those goals in that time! The power of the human mind! Thanks for putting theory to practical use in this fun tradition! I absolutely love this idea! I think we'll try it this year. Thank you!! Love this idea. I will share it with my young family. Thank you and Merry Christmas!